Tiverton Community Arts Theatre is delighted to welcome Dire Streets to perform in Tiverton for the first time. We strive to bring top musicians to TCAT - and this band is no exception - all excellent musicians and performers. 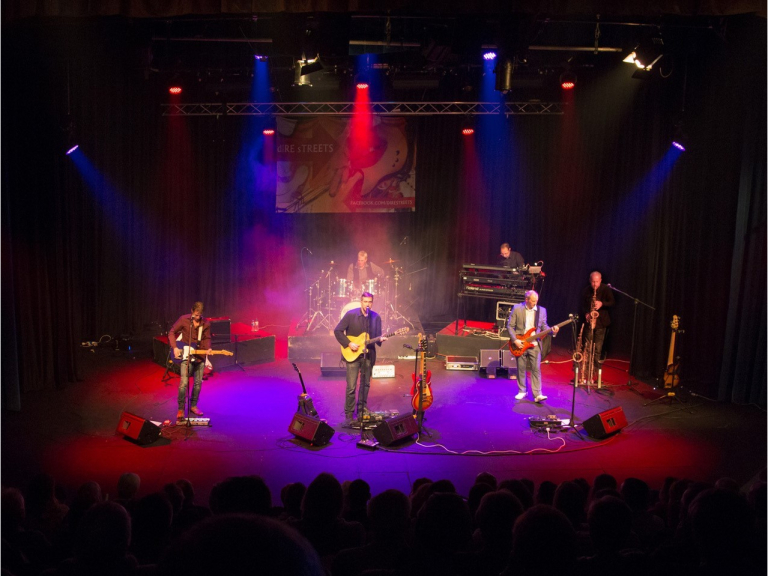 Dire Streets are regarded as the UK’s top Dire Straits tribute band. They will be performing all the hits and we are pleased they are accompanied by Special Guest Steve Wiltshire on Saxophone and Flute. It’s part of a busy month in November for TCAT with Austentatious, Talon, Twelfth Night and Tiverton Concert Band also appearing. Dire Straits no longer tour so Dire Streets is the next best thing. Full details on our website www.tivertontheatre.com."